"It's been my honor and pleasure to bring the unique and beautiful to the world of interior design"
My top prediction for design trends for 2018 includes a whole lot of color intermixed with metallics! 2017 was the year of white with farmhouse flair. I believe white is a great starting point for finishes, and trim when designing a space, however, to avoid being, “very vanilla” you need the “key ingredients”, which means you need COLOR, you need SPARKLE, you need ELEMENTS OF SURPRISE, and YOU NEED ARTWORK to really tie everything together and make the space a true standout. As an Artist and Designer in the industry for 40+ years, I’ve worked with many different clients. Each of them have their own unique style and I stay true to that when designing. A home needs to be the best representation of the individuals living there. It needs to tell a story with the unique/ suprise elements and artwork… this is also the best way to add that much needed vibrant color. I’ve never worked with a client that says, “I want my guests to come into my home and say it looks just like every other home I’ve been in.” Everyone wants to live in a home most would refer to as a “stand out” and the only way to do that is through the “key ingredients” stated above! 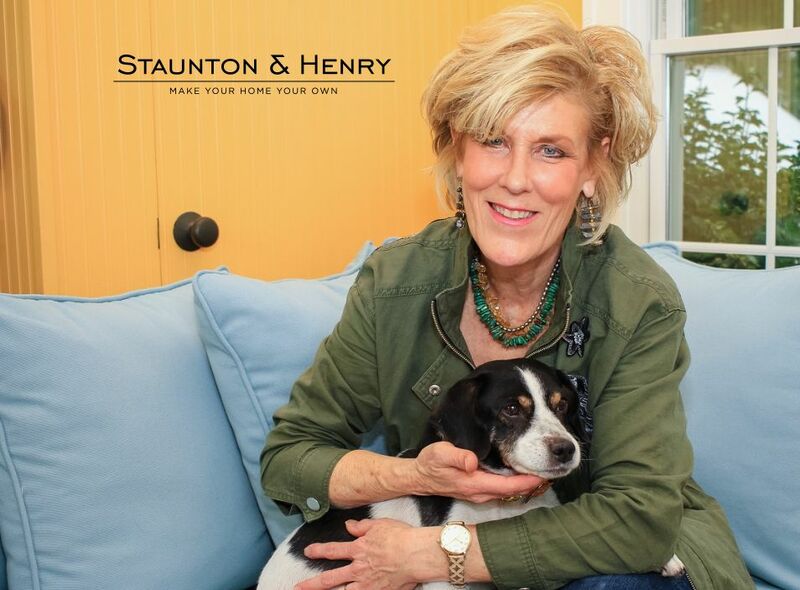 Click the Staunton & Henry Logo to visit the blog article or click here. According to research, the average small business owner spends just a few hundred dollars decorating their storefront window for the holidays. That might seem like a small budget, but there’s a lot you can do! We spoke to artist and interior designer Sally Dailey, who provided tips on how to make the most out of your storefront display. She also shared examples of window decoration themes and the materials you’ll need to get started on your storefront window display. No matter what you’re designing, excellence begins with proper planning! First, you’ll want to determine your message. In doing so, make sure to ask yourself a few questions–What do you want to say? How do you want your display to look? That’s what I did before coming up with the examples below. Next, start to imagine your store window as a stage. This is where your story comes to life. There’s a backdrop, a floor, a ceiling, lighting, set décor, supporting cast members and the stars of the show. Keep it simple, yet bold. Remember: less is more. Your display must be graphic, clean, legible and easy to understand. Read the Full Article on VistaPrint.com by clicking here. 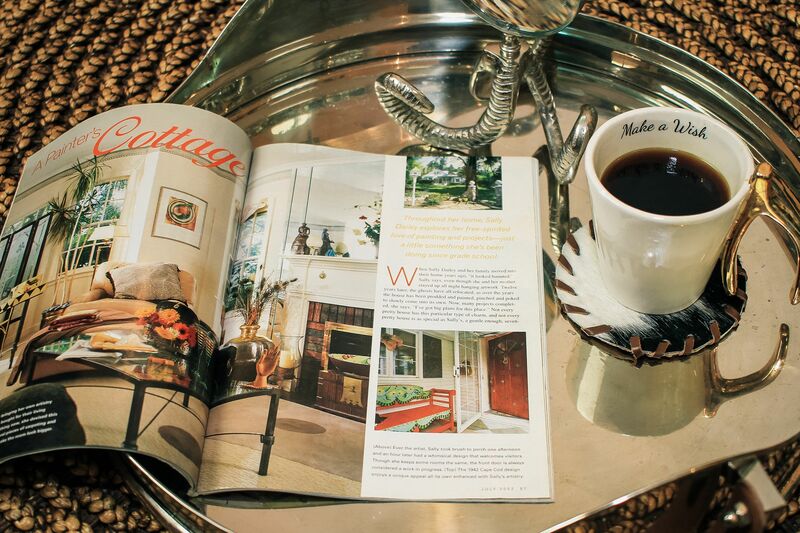 This article is an interview with Interior Designer Sally Dailey. The article can be summed up in the caption, "Sally's determination to take old things and make them into something new is part of her own charm that shows up in most every room of her house"
(C) 2017-2018 SallyDaileyDesigns. Powered by Clevinger&Co.